Is there any scent in the entire world that is better than fresh lavender? (That is, of course a rhetorical question, which requires no answer). It’s mid-September here, and I can feel that fall is upon us. Mostly in my dry, soon-to-be flaky skin. The fall/winter months in New Mexico can be brutally dry, so I have learned how to make lotion, so my skin can feel soft, smooth, and most importantly, toxin free. 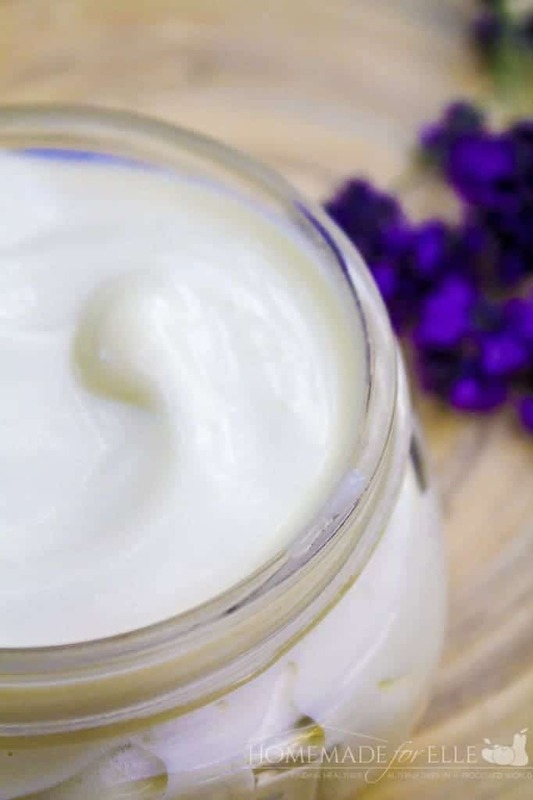 I have made (and posted) many homemade lotions and body butters before, and I think your skin type will depend on which you like best. For me, this lavender body lotion has to be my new favorite. It is a tad greasy, since it is made with natural oils and shea butter, but it isn’t quite as much as whipped coconut oil. It is similar to my shea body butter, but it has a little different ratio of shea butter/coconut oil/olive oil, making it a bit lighter and more like a lotion, and less like a body butter. And, I feel negligent for waiting this long to mention it, but it smells divine. It’s floral, a touch musky, and it makes you want to take a deep breath and relax. I don’t know about you, but I could always use some extra aromatherapy to help me feel centered. It’s made from all natural ingredients, so your skin (and the environment) will thank you for putting clean ingredients onto it. It is gloriously moisturizing, and will stay with you all day long. I use it every morning, and sometimes in the evening, if I happen to have time for a relaxing bath. *Quick note: If you’re having a super-stressful day, pour 10 drops of Lavender essential oil onto 2 cups of epsom salt, and add to a warm bath. Soak for 20 minutes. Massage in lavender body lotion after the bath. You’ll feel like a new person. In a quart-sized mason jar, add shea butter and coconut oil. Bring 2″ of water to boil in a small pot. Place mason jar into the water, and simmer until oils have melted together. Remove from heat, and allow to cool. Add in olive oil and essential oils, and stir. Allow to sit until almost solid (you can expedite this by placing it in the freezer, just keep an eye on it). Transfer mixture to a medium-sized bowl, and then use an electric mixer to whip the mixture until light and the texture of lotion. *This can take up to 10 minutes, so be prepared. If the mixture isn’t whipping together well, it may not be solid enough. Pour mixture back into the mason jar, and store at room temperature for up to 6 months. 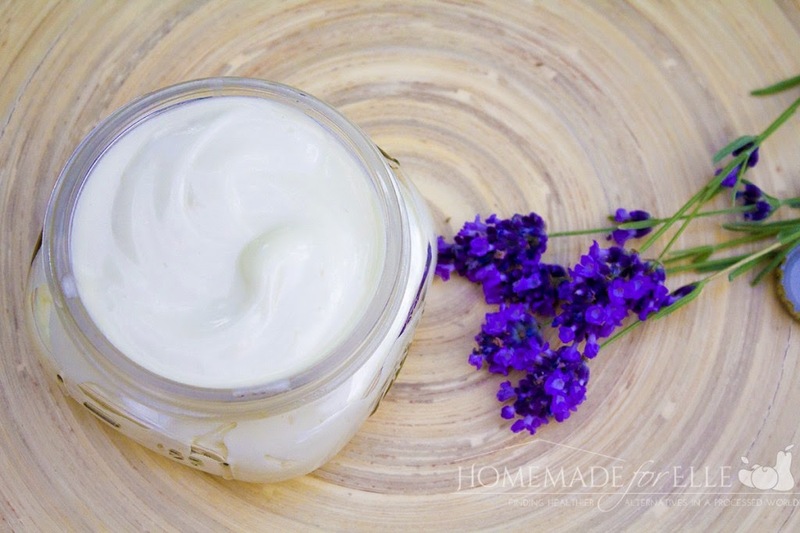 Have you ever learned how to make lotion? What is your favorite scent to add to lotion?